Are We Destined To Always Be Foreigners? Robert Tindall of the blog Roaming the Mind has challenged us to indigenize ourselves. This challenge has not been met with open arms from everyone… Elina gives her perspective, which stirred a response within me. Thank you for such an extensive and thoughtful reply. I can’t disagree with your intentions toward living a healthier and more balanced lifestyle. As well, I agree that both settlers and Indigenous people are colonized and affected by racism, albeit in very different ways. Indigenous people haven’t had the luxury of white privilege, and in Canada anyway, Indigenous children were removed from their homes in far greater numbers than white children – the terrible legacy of residential schools, and the foster care ‘scoop’ are still playing out in Indigenous communities all over Canada. I still take issue with the idea that anyone (who reads your blog? your book? etc) can ‘indigenize’ themselves. What does it mean to be indigenous anyway? Can you be Indigenous and modern? 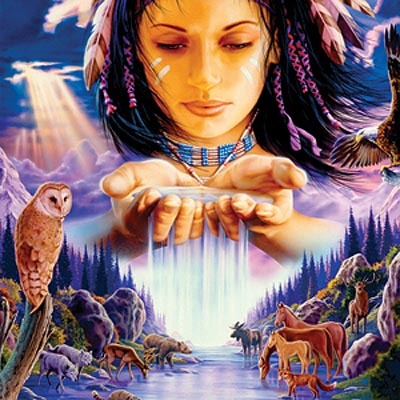 If we all have an “indigenous intactness” are actual Indigenous people simply the bare bones of humanity, somehow pure and mystical (or childlike, as you seem to infer at the beginning of your blog post), rather than real, political, and layered with the ‘cultural’ meat that is constantly needing to be strengthened by the actual practices and relationships within Indigenous communities? How can non-Indigenous people presume to answer what it means to be Indigenous, when Indigenous people are still fighting to define themselves against colonial and capitalist social systems that must always seem to be pressing in? If it is true that Indigenous communities may be “open and welcome those who share its interests, passions, convictions, or faith,” it seems to me then that such communities should be the one writing blog posts that welcome anyone to ‘indigenize’ themselves with the help of said community. I just don’t think you are well placed to give such an invitation. I too am of European descent, Robert, and I too am a parent. Like you, I worry about the direction Western culture has been going for too long, and want to help my kids learn how to take action toward decolonization and sustainable peaceful living. Perhaps the things that you identify in some of the non-Indigenous literature you have reviewed can help to identify a place of hope that does not need to be identified as Indigenous. Maybe we need to work a little harder to make our own culture(s) better ones. I know you might disagree with some of what I’ve written, but maybe you will agree that encouraging people to ‘indigenize’ ought to be linked to some sort of political responsibility. That was certainly a provocative piece and it gave me quite a bit to think about. I am also of European descent trying to find my place in this world. While that is true on a metaphysical level it also qualifies on a physical level as well. It would seem that as technology evolves and allows, we as humans are becoming increasingly nomadic…and that doesn’t simply hold true for White Europeans. Before I can seem to find the truth in any philosophical point I like to look at the mirror effect of my conclusion. So, I attempted the same principle to your conclusion. If I understand you correctly, you feel that it is impossible, if not unethical, for White Europeans to attempt to or lay claim to indigenizing themselves to the region they live in, specifically if it is adopted like North America. With this understanding I would like to challenge your line of thinking and subsequent conclusion based a sort of mirror effect. What if the reverse were true? 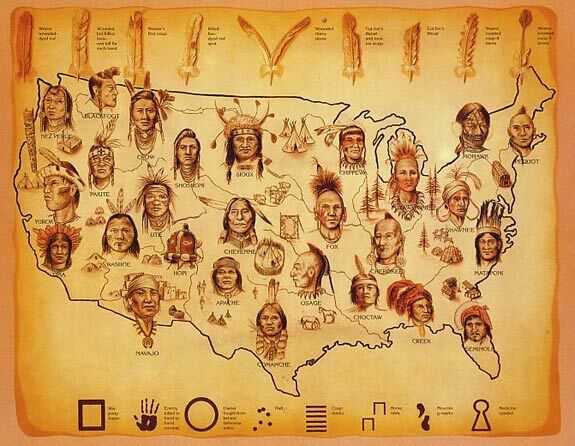 What if we are talking about a minority that would like to indigenize themselves to America because, for whatever reason, it is now their home? How long does a foreigner have to live in one place before they are no longer considered a foreigner? I understand that for academic purposes indigenous, by definition means “native or original to”. But we are an adaptable lot, aren’t we? So this complicates things a little. I was born In Bremerton Washington in 1975. I moved to Idaho Falls Idaho when I was 2. My fondest and youngest memories are of Idaho Falls. I moved to California in 1980. I still live in California. I was very angry about living in California for my first 13 years of residency. At what point do those around me consider me a Californian? How long do I live here before I consider myself a Californian? There is nothing about me in spirit or physical attribute that would indicate that I am indigenous to anywhere but California…yet, based on your definition, not only do I not belong here as a native, I never will. Does that mean I should not connect to the environment and commune with the life forces around me…because I did not originate here? We can take that to a smaller, more environmentally effected level. From 1980 – 2001, I lived on the Central Coast of California. Sixty degree weather was a beautiful day perfect for a light weight sweatshirt, shorts, and bare feet. From 2001 – present I have lived in the desert. I can assure you that my body is no longer in tune with the rhythms and the nature of the Central Coast. A beautiful day there is near next to freezing for me now. My blood has thinned and my body has adapted to triple digit weather. After approximately ten years I am ready to bond with the region I live in and learn to feel and hear the knowledge and wisdom that it has to impart. I am ready to understand its human history and creation stories in an effort to understand how to best serve that which serves me. I am prepared to indigenize myself. In this cultural shift, this technological stupor we are attempting to wake from, it is a perspective and notion worth exploring. How can we possibly heal that which has been damaged if we relegate ourselves to only identifying with the politics of an adopted region? The concept of indigenizing is not something that I would discourage no matter how misguided a process your personal convictions may feel that it is. For my understanding, this concept of indigenizing one’s self is not about the country or region that is native to one’s ancestors. It is about a human, indigenous to this planet, finding their place, “plugging in” to their environment, and having a free exchange of knowledge and symbiosis to ensure that both our serving each other in the most optimal way. With this exchange comes growth and spiritual expansion that ultimately networks its way around the planet promoting health and balance. Thoughts Anyone? Do any of us of White European descent have any right to attempt to indigenize ourselves to our region or country?